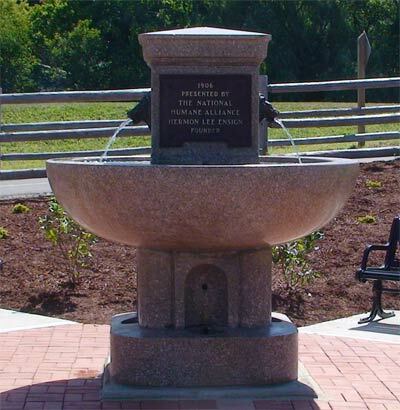 National Humane Alliance Fountain restored to its original glory! Click here for the full story of the dedication of the fountain, plaza and Hall of Fame. Click here to learn more about the history of the fountain and others found around the country. Brick order forms for 2019 are now available for bricks that will be installed to coincide with Derby Day in June. Click on the link above to go to form. Want to see what 325 people have engraved on their bricks? Click here to see the engravings on the small bricks, here to see the engravings on the larger bricks or here to see the bench engravings. 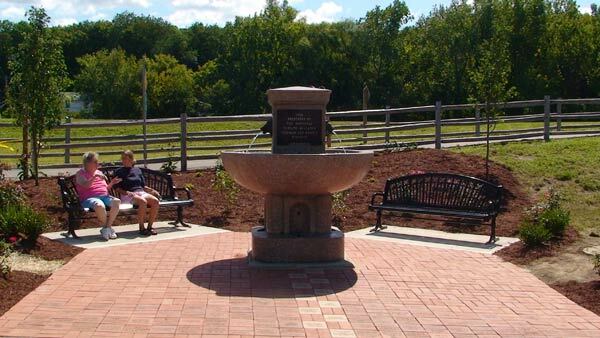 The Derby Greenway Committee has restored the historic National Humane Alliance Fountain at the Division Street entrance to the Derby Greenway and surrounded it with a beautiful brick plaza and the new Derby Hall of Fame, benches and trees as it begins a second century as a city landmark. The public is still invited to be part of this historic effort by purchasing individually engraved bricks that will make up the plaza. For more on the history of the fountain, click here. The new lions heads are in and working! Click here for story. 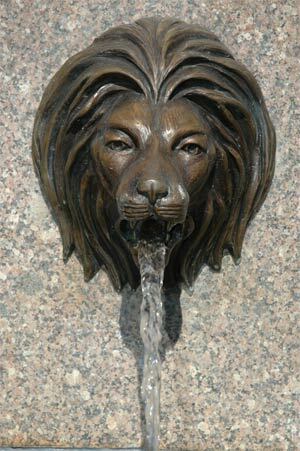 In early 2007, the city took delivery of the lion's head spigots which fed the large watering bowl at the center of the fountain restored by a sculptor in South Dakota. Bricks are a great way to create a personal legacy that will add to the allure of the Fountain and Greenway for generations to come. This is a great opportunity to memorialize a loved one, honor a recent achievement, celebrate a friend or relative, or leave a personal observation or reflection. The bricks make great gifts! The bricks are being sold in two sizes. The smaller brick is 4"x8" and has room for three lines of text with each line containing up to eighteen characters and will sell for $50. The larger bricks are 8"x8" and can contain up to six lines of text with the same eighteen character per line limit. Custom graphics can be added to the bricks for an additional setup charge of $50 per brick plus $8 for engraving on each brick. 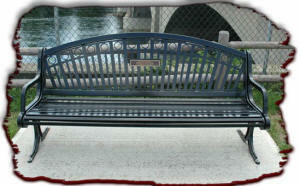 The City has also installed 13 benches along the Greenway, and sponsorships for individual benches have been sold. The benches come with an engraved plate which can contain up to four lines of text. Each line can contain up to 37 characters. The price for a bench sponsorship was $500. More benches will be available when the city begins construction of Phase II of the project which will carry the Greenway across the Naugatuck River to the east side of Derby.